This page is about the aircraft H8K2. For the premium H8K plane, see H8K3. 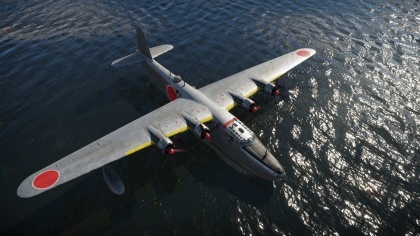 The H8K2 is a Rank I Japanese flying boat/heavy bomber with a battle rating of 3.3 (AB/RB) and 3.7 (SB). 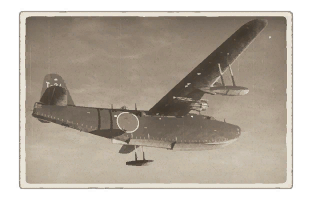 This aircraft was introduced in Update 1.57 "Battle March". 560 450 ??? ~?? ~? Defensive armament with turret machine guns or cannons, crewed by gunners. Examine the number of gunners and what belts or drums are better to use. If defensive weaponry is not available, remove this subsection.